Our collaboration with Kinto began when we purchased a mere three cups from the Japanese company for one of our Tokyo cafes. 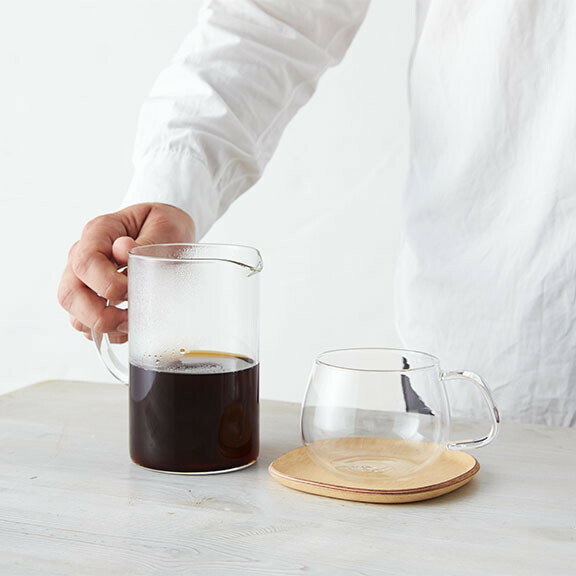 We were so enamored with the quality that we decided to work together to make a custom carafe for our shops. We refined the dimensions and the height until we got it just right. 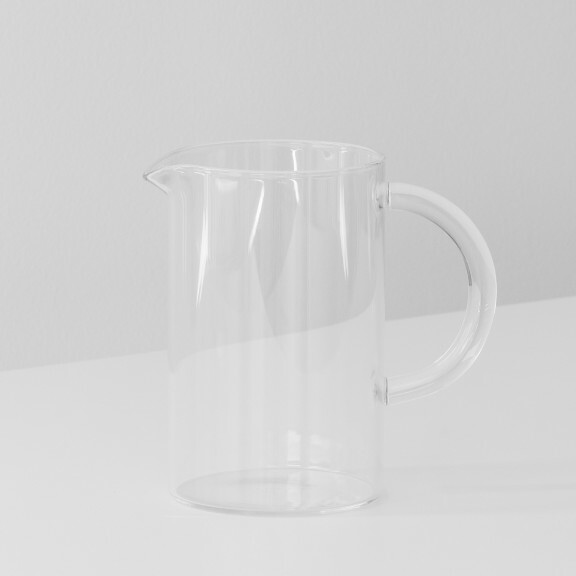 And now, we’re offering this carafe for use in your home. It’s the same carafe that’s on the bar at every Blue Bottle in the U.S. and Tokyo. 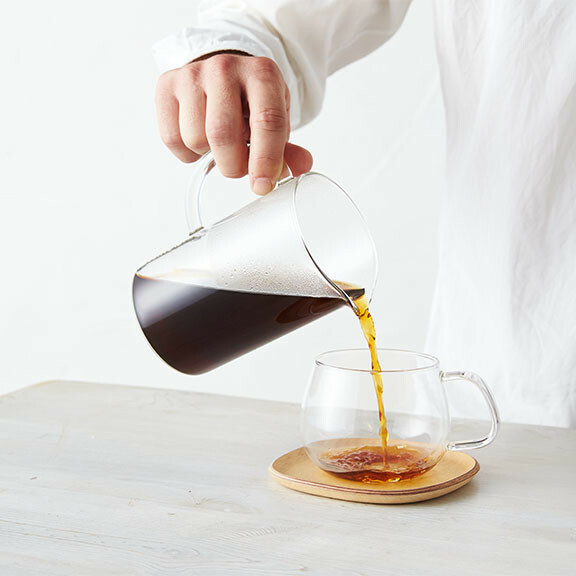 Once dripped, we recommend serving it in Kinto’s rounded mugs with maple wood saucers. They’re a pleasure to hold.